We’ve told you what the best Mac apps and Android apps launched in 2012 are. At the end of last year, we even provided you with a handy list of which apps to install on your new iPad, and recently which apps should be in your iPhoneography ‘camera bag’. Basically, you’ve been rather spoiled. You’re welcome. We’re looking forward to Sparrow for iPad, which is on its way. Not to mention Path, which says it will debut its iPad app later this year. We’re even anxious to put our paws on Google’s tablet-optimized social networking app; Google+ for iPad is coming. But that’s not why you’re here. Apple launched some apps for the iPad. Yup. Heck, even The Next Web released an iPad app – and an iPad magazine! But we also finally have Chrome for iOS (our hands-on) as well as Google Drive for iOS, as announced at Google’s I/O event this week. ➤ Download the Chrome iPad browser here. Business social network LinkedIn released a mighty fine iPad app this year, while companies like Facebook, Netflix, Pulse, Skype and Fotopedia improved theirs. ➤ Sure, you could search for the new LinkedIn app on the App Store, but why bother when your friends from The Next Web give you a handy download link? We’ve also finally witnessed the arrival of Spotify’s slick iPad application. Bliss. ➤ You may rock to the tablet beat after grabbing the app. Or kill some time with Rovio’s latest Angry Birds game – called Space. ➤ Start flinging those cute birdies after downloading the app. Oh and let’s not forget Amazon released an iPad-optimized Kindle Store. If you hate reading and would rather spend your days turning photos into 3D models, check out Autodesk’s 123D Catch application for the iPad. Lots of justified praise for the ex-Microsoft Courier team’s drawing app Paper, which is very popular, and very cool. ➤ Get it here and create something magical, mkay? Like it? Then maybe you’ll also dig Lovely Charts’ iPad app. ➤ Grab it here and be amazed. If you want to tweet from your iPad, consider Tweetbot. Because it’s awesome. The universe is wonderful and so is Brian Cox’s Wonders of the Universe app. ➤ Wanna brag about your iPad to your friends? Grab Wonders of the Universe. 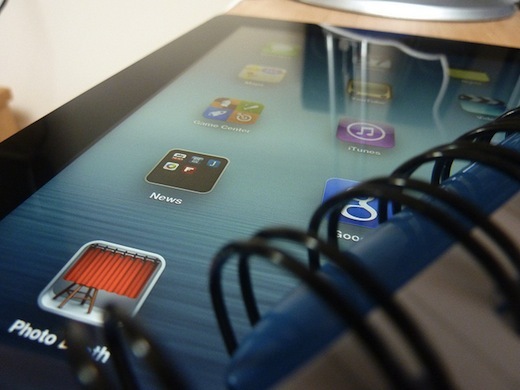 Digital storytelling from the iPad was never easier thanks to Storify’s app. Digital reading was also never easier thanks to iPad apps like Readability. We called Beatsurfing, if a bit niche, one of the coolest music iPad apps, ever. ➤ You don’t have to take our word for it, just install it yourself. We asserted that Slidewriter’s iPad app may actually change the way you type. ➤ Download Slidewriter if that’s the kind of change you’re looking for. ➤ Are you still here? Get the app and book away! Svpply brought its cool online window shopping experience to the iPad. Waiting for Microsoft Office to hit the iPad? Check out CloudOn while you wait. Iris delivers the beautiful Instagram experience that the iPad deserves, we said. If you’re into data compression (and don’t lie to us, we know you), then you should definitely be aware that Onavo hit the iPad. ➤ You can download it, like, right here, right now. It’s not a full on double rainbow across the sky, but you should still check out Reading Rainbow’s iPad app. Note-takers everywhere, listen up! Dunno will alter your behavior. ➤ Get Dunno while it’s still hot. Run away from the temple. Be brave. Download Temple Run: Brave. ➤ You can get it at the App Store. The sun shines on Minimeteo, a slick and minimal weather app for the iPad. ➤ What else is there to add? Grab it here. Mix and mashup music videos on your iPad with Vjay. ➤ Rock on and download that app. ➤ Grab Snap here before the virtual ink dries. Like Hacker News? We have not one but two iPad apps for you.